For many hockey fans, like yours truly, the NHL Trade Deadline is almost as exciting and inspiring as a playoff game. Is it an important day? Ask a Flyers fan about their team's inactivity today, write down their reaction, and you tell me. In many ways, Penguins fans are spoiled when it comes to front office moves. In the last five years, few, if any, teams have experienced the excitement created by drafting, scouting, signing, and of course, trading as the Pens have under General Manager Ray Shero. Each year under Shero, Pittsburgh has been involved in major trades and often for the better because of it, and Shero. In 2007, he moved dead weight for Gary Roberts. In 2008, he sacrificed little of the team's present and none of the team's significant future for the top player on the market, Marian Hossa. In 2009, he swapped a financially unnecessary draft pick for Bill Guerin, a veteran wing who was an integral piece in the Penguins championship last season. All three of these seasons, Pittsburgh has played playoff hockey. Two out of the three, the Pens were in the Cup finals. And we all know what happened last year. 1. Penguins trade their 2nd round pick to Florida for defenseman Jordan Leopold. If you've been reading any of my Penguins ranting and raving here, Twitter, or elsewhere, you know that I've been crossing my fingers for a new blueliner to enter the team's top four. The jury is still out on Leopold, but consider me on board. Leopold doesn't fit a Hal Gill or Rob Scuderi type role and those hoping for one of those players in Pittsburgh are obviously skeptical. But riddle me this : When Michel Therrien's system was replaced with Dan Bylsma's, what made us all so excited as Pens fans? Was it just the wins? Sure, that was a big thing, but it wasn't the only thing. Bylsma's system is based on speed, creating open ice opportunities, and using a combination of speed and skill to create mismatches. I for one, haven't forgotten how nervous I was watching Hal Gill try to skate his way into that type of hockey in Game 7's last year. Leopold doesn't do one thing great and he doesn't do everything well. But he plays hard and skates as well as most NHL defenseman, has enough puck moving skill to run an effective breakout, and isn't afraid to block shots and sacrifice his body. Leopold isn't the ideal Pittsburgh defenseman, but teams worse than the Penguins have won cups with less. There are two moments of recent Penguins trade lore that I'll never forget. The first was being in the middle of class at Robert Morris University when the Marian Hossa trade broke and seeing the massive reaction by everyone around me. The drastic outcry was a mixed bag of over the top enthusiasm to receive such a player, and the angst of trading fan favorite Colby Armstrong. The second was last night's reaction on Twitter to Luca Caputi being dealt for Ponikarovsky. In the following comments that I'm going to make about this trade, one might think I think Caputi is a bad player. That isn't the case. Caputi is a talented forward with massive upside. 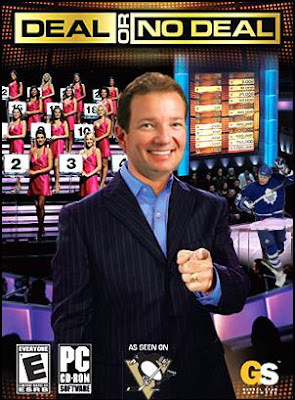 But this deal in particular has been Shero's biggest coup as a GM to date. Ponikarovsky, who will be referred to as "Poni" from now on, is very much like his new line mate Evgeni Malkin. He has been largely held back for most of his career because of surrounding talent. Aside from the departed Petr Sykora, none of Malkin's wings to date have consistently develop the report that Poni can and will develop. Poni has the size the team's powerplay needs. He has the skill and finishing touch that Evgeni Malkin will want, and unlike any forward Geno has lined up besides, he speaks almost fluent Russian. These add up to a 30+ goal production over the course of a season. Getting struggling defenseman Martin Skoula's contract out of Pittsburgh shouldn't be overlooked either. For all of the Jay McKee trade talk, many Pens fans have overlooked Skoula's salary being almost identical. There is a massive drop off in talent from Jay McKee to Martin Skoula. Pittsburgh trading a player with more ECHL goals than NHL goals for a perfect Bylsma system fit and staying under the cap at the same time isn't an easy feat. But Shero did exactly that last night. Not one player on the trade market fits the Pittsburgh Penguins better than Alexei Ponikarovsky. 3. Penguins trade Chris Peluso to Toronto Maple Leafs for a 6th round pick. Chris Peluso was a Dman drafted in 2004 in the seventh round for Pittsburgh. His professional hockey contributions are similar to Bruce Boudreau's fitness contributions to Bowflex. It's not always you get to keep the receipt in hockey and send it back from where it came from. The Penguins, as mentioned, gave up a seventh. They will receive a sixth. Fair deal. Between the high parity of talent across the league and salary cap looming overhead at all times, repeating as Stanley Cup Champions is as tough as it gets. But as he has since his first steps into Mellon Arena, Ray Shero has made the right sacrifices to make it possible.